As Australia’s best HubSpot Integration Agency, we’ve solved all manner of systems development & integration challenges. And one thing is for sure: no two integrations are the same! One of the best features of Hubspot is being able to build marketing lists based on any contact data you can get your hands on. If your website requires customer data entry for you to perform your service or offer your product, you should be using that data to segment your lists. More data = smarter/dynamic content and targeted email campaigns. Quite often the first conversion on your website will be a user creating an account. That account creation process can be integrated with HubSpot so you can track the user’s behaviour from that very first time they sign up. No need to get them to download a whitepaper to find out who they are (those days of lead generation are a little outdated). Users often use multiple devices/computers. The issue with this is if the HubSpot cookie is not on all of the user’s devices you will lose important user tracking data. Similar to the account creation conversion we also re-cookie the user when they log in again allowing all this data to be tracked back to their user profile in HubSpot. They may require an additional up-front investment, but the data generated by these very cool tools can often give you the best insights into what your users are interested in. The idea is to deliver value to the user with these tools – in return we receive valuable data to help build out their user profiles so we can continue to delight them with content they are actually interested in. We have developed a range of tools for many clients to help drive value for their users. 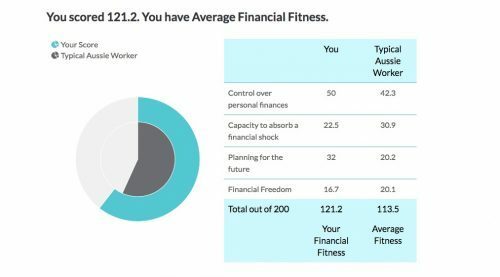 Here’s a Financial Fitness Test we built for Map My Plan, and an office space calculator for Amicus Interiors. Do you ever have users who sign up for your product but don’t activate their accounts? This data can be linked back to HubSpot and build a marketing campaign to push them towards activation. We even added activation tokens to the HubSpot emails for one click activations. Other interest data was also sync’d back to HubSpot so we knew what core interests the user had. This data was then used to determine which content to display to the user. So what can you do with all this data? Smarter calls to action: You can create smarter calls to action using the data collected to display a more relevant message on your website. User already signed up? Swap that button out for 20% off voucher. Better emails: You can create more targeted emails with better content for the user based on their interests. 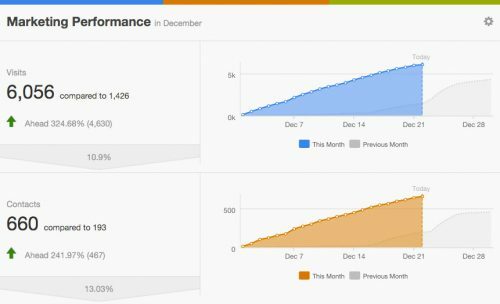 Lead scoring: You can use the data to build out user lead scores and trigger customer conversion status. Improved automation workflows: You can improve automated workflows. For example, if we know someone has already activated their account, there’s no point sending them a follow up. Do you need help integrating HubSpot? Take a look at our custom HubSpot Integration guide to see what could work best for you and your business. We can integrate the HubSpot API with just about any data source you can think of! It’s been an absolute pleasure working with you both for the past 3 years, hands down you’re one of the top development/full service agencies we have in ANZ. Michelle has been in marketing strategy for over 20 years. Michelle got involved in Engaging from Day 1 with the conviction of creating a business that ‘does great work with great people’, including clients, partners and staff. A born problem solver, she immerses herself in clients’ businesses and reconstructs their sales & marketing activities to ensure they operate to deliver directly on the business’ objectives. Michelle is passionate about maintaining a company and company culture that leaves the world a better place than we found it.